politicalbetting.com » Blog Archive » Who will be Mitt’s running mate? 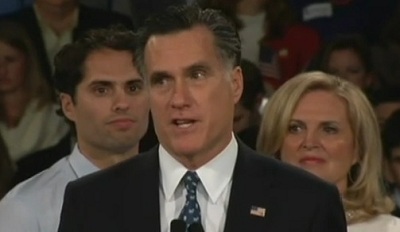 Who will be Mitt’s running mate? Following the Texas primary last night, Mitt Romney secured enough delegates to be his party’s Presidential nominee, now he will be considering who to select as his running mate. The former Florida governor toldÂ Italian news outlet Linkiesta in an interview on Tuesday. Bush told the online news outlet, according to a Yahoo News translation. Like Jeb Bush, I don’t think Mitt Romney will offer it to him. I still have high hopes that it will be Rand Paul, who I backed at 50/1 and who is currently 14/1. The current favourite appears to be Ohio Senator, Rob Portman, who is scheduled to meet Benjamin Netanyahu on Thursday, as a way of boosting his foreign policy credentials and visibility. Marco Rubio is another contender, The Senator from Florida ticks many boxes, but has said in the past he would said no if offered the slot. I’m wondering whether to also back Kay Bailey Hutchinson who is currently 66/1, purely on the basis that aÂ Massachusetts/Texas ticket does have a nice balance andÂ symmetryÂ to it, but for every JFK/LBJ, there’s a Dukasis/Bentsen. Ladbrokes, Stan James, Paddy Power and Betfair all have markets up on who will be Mitt Romney’s Running Mate. Note: Mike Smithson is on holiday until June 7th.